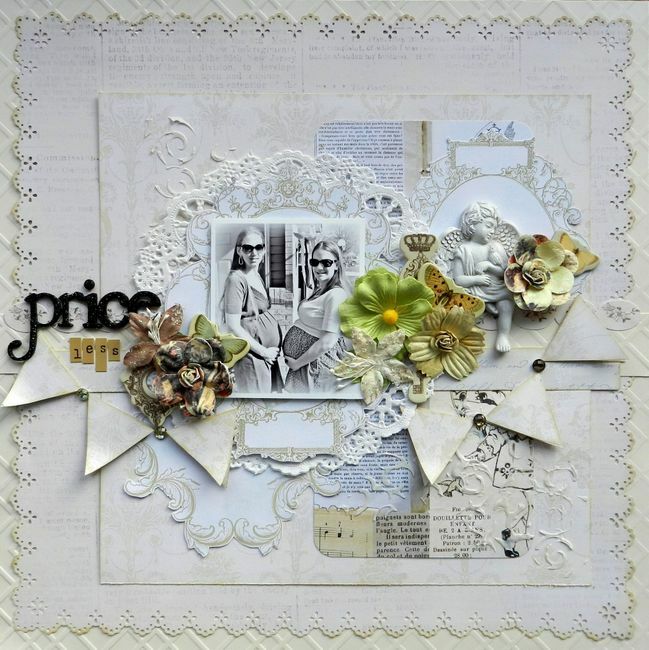 Erin Blegen: My Scrap Cabin: More from the January Kit @ C'est Magnifique~! Good morning! I'm realizing I have a lot to share with you in the upcoming days, so I wanted to sneak in the last of my projects using the gorgeous January Kit from C'est Magnifique~!! I introduced the kit to you yesterday, so scroll down to that post if you missed it. We're using papers this time from the Ruby Rock-It "Mother Nature" collection, which you can purchase extras if in the store right HERE- where you will also find the add-ons, some individual items, and of course the main kit itself :). This is a picture of my oldest, Wyatt, on his first day of Preschool. He LOVES school and it is just so refreshing to see a child so eager to learn! So I wanted to pull out some of the "fun" colors in this kit, including the orange/peach color which adds just a little bit of "punch" to the blues . When starting out on this layout, I intended to use two of the same photo, as often I do. But when the two photos just weren't fitting my design, I went ahead and fussy cut one of them, layering it over the other just a bit. I love the energy this brings! When I was pregnant with my second child, my sister was pregnant with her first and was due just 4 weeks ahead of me. It truly was a precious and priceless time in my life to be able to share this experience with my best friend! We definitely helped each other along through our experiences and I wanted to create something special to remember this time in our lives. For whatever reason, my kids love to go outside when it is most cold out! Here it was about -1 degrees Fahrenheit and Gunner was happy as can be, exploring the new snow, despite the frigid temperature. I love how everything is white in the background here and truly represents what our winters are like here! I focused on the blues in this kit to bring this canvas to life. The gesso applied randomly here and there is to lend to the "snowy" effect that I was going for. For further information on C'est Magnifique Kit Club, visit the "Join" section HERE to read all about it~! Have an awesome day and see you again SOON :)~!! I am loving that canvass!!! All three are so amazing and beautiful! The added extra special touches to each make them something to treasure. Beautiful layouts and canvas Erin!! I love the photo of you and Kelly together! Such a sweet memory to have documented! wow all these are so beautiful Erin, really love the photo cut out in the first one! All 3 creations are TOTALLY INCREDIBLE Erin!!! what you have done with the photo in your first layout is AWESOME.. & I just LOVE that layout of you & Kelly... YES! this is sure Priceless!!! Divine. Each and every detail. You rock the kits. I just love seeing what you create with them. Love the photo of you and Kelly. You both look really different too, maybe it is the hair down. Gorgeous memory. Love all your creations with this kit!! 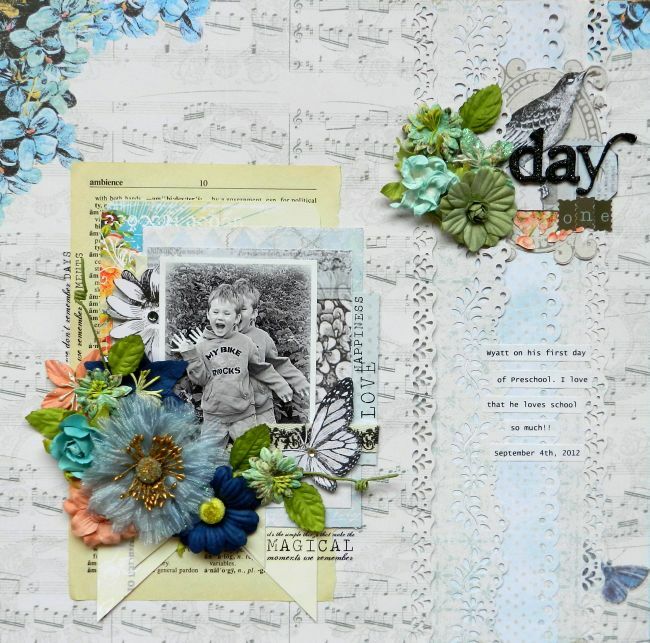 Erin - these layouts are exquisite - would love to have you play along with us!!! gorgeous creations - all of them ... but I'm like a broken record ... cos I always say that.